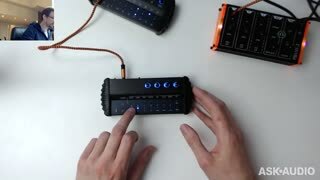 The compact electronic music "minijam" studio lets you jam with synths and drum machines. 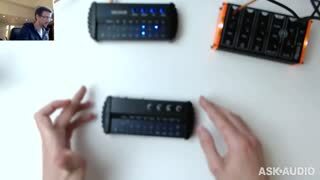 Developed by the makers of Patchblocks. 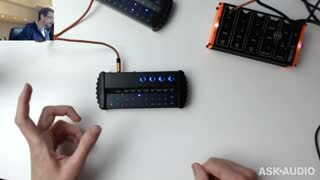 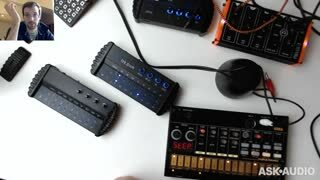 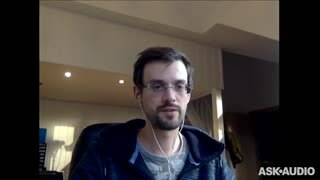 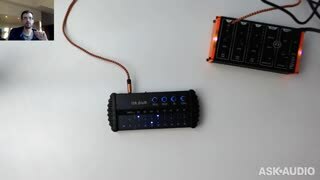 In this lecture the founder of Patchblocks, Sebastian Heinz, who is also the lead engineer, goes in-depth with the all new tek.drum and tek.waves minijam Machines from the Minijam Studio. 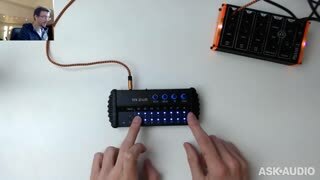 We also get a peak at the .hub audio mixer and the .boom mini speaker. 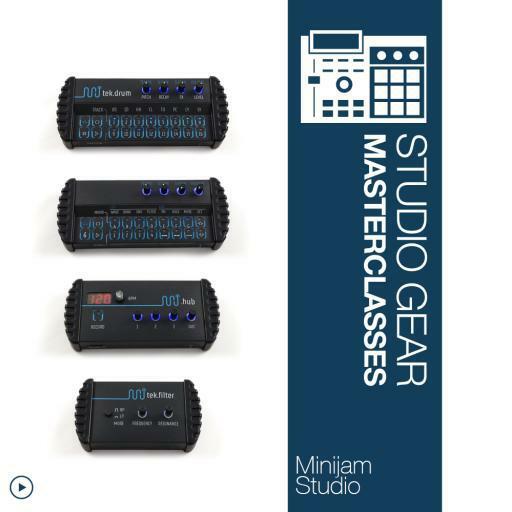 The minijam studio "includes a drum machine, a wavetable synthesizer, an analog filter, a mixer and a speaker. 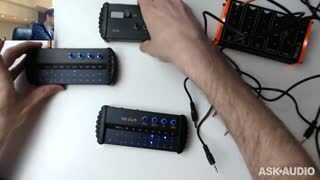 It gives you the feel and fun of jamming with hardware equipment, all bundled in a ready-to-use set with an impressive sound quality."